Ezekiel 37 gave rise to this famous anatomy lesson, performed here by the Cathedral Quartet. 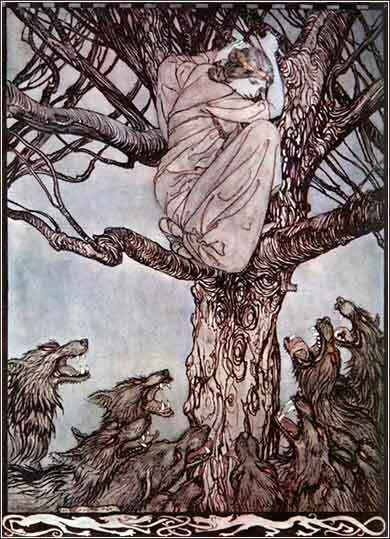 Wooing of Becfola by Arthur Rackham, ca. 1920. "The wave that distresses the ordinary swimmer produces in the surfer the joy of going clean through it. Apply that to our own circumstances, these very things — tribulation, distress, persecution — produce in us a super-joy; they are not things to fight. We are more than conquerors; we are super-victors, with a joy we would not have but for the very things which look as if they are going to overwhelm us. The saint knows the joy of the Lord not in spite of tribulation, but because of it." Recall those earlier days when, after you had been enlightened, you endured a hard struggle with sufferings, sometimes being publicly exposed to abuse and persecution, and sometimes being partners with those so treated. For you had compassion for those who were in prison, and you cheerfully accepted the plundering of your possessions, knowing that you yourselves possessed something better and more lasting. This passage from Hebrews relates well to the verses from Matthew we have read, particularly when Jesus warns the apostles of the dire possibilities that await them in Chapter 10. Paul speaks to the same persecution but after the fact, rather than as a warning or preparation, as Jesus did in Matthew 10. Paul is also a bit more upbeat, for he is not addressing the apostles, but a large group of Christians, many of whom had not seen Christ in the flesh. They need encouragement — and so do we! But we really face a different set of issues than the converts in the decades after Christ ascended. Paul is speaking to people who have had their possessions taken away, people who have been to prison, people who have family members in prison. Few people in the West, today, face prison or death simply for espousing their beliefs. But we must not shrink at the prospect that we might suffer. 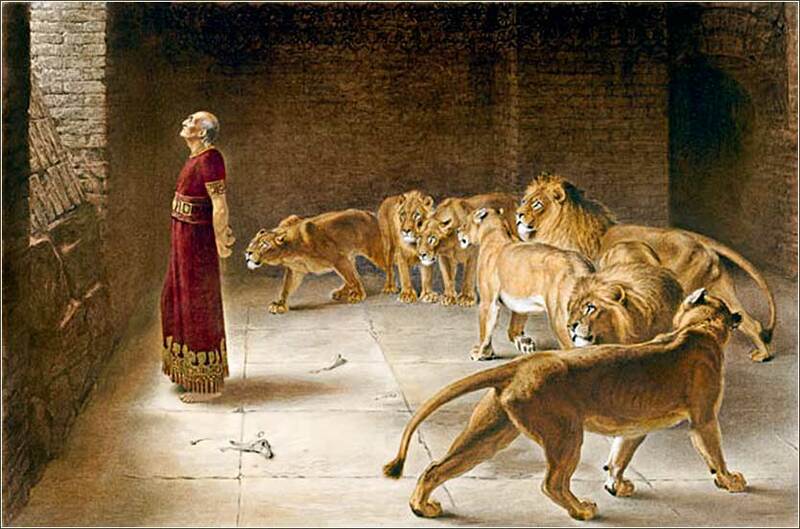 Paul very bluntly tells us that “persecution is inevitable for those who are determined to live really Christian lives.” (2 Tim 3:12, J.B. Phillips Translation) Our suffering may be only that we must endure the pride and speech of fools and sinners, but we will suffer. And at least we are not often fed to lions today!